This device is carrier-unlocked and should work fully with carriers listed below with green bars. Yellow bars denote partial network coverage. A SIM card and service plan must be purchased separately. Network compatibility listed here is for reference only and does not guarantee phone compatibility or activation on CDMA Carriers. Experience dynamic handheld performance and powerful dual-camera functionality with the black Moto X Pure Edition from Motorola. 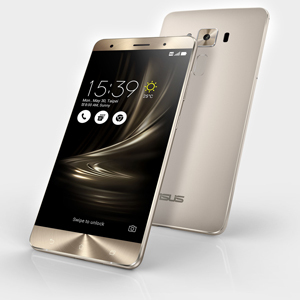 This smartphone is powered by a 1.8 GHz hexa-core Qualcomm Snapdragon 808 processor and 3GB of LPDDR3 RAM. It comes equipped with 16GB of storage and includes a microSD slot that supports microSDXC cards with up to 128GB of memory for additional storage capacity. The integrated micro-USB interface allows you to connect the device for mass-storage purposes and also serves as a charging port. The Moto X Pure Edition houses a 5.7" LCD touchscreen display, which features a 2560 x 1440 resolution that fully supports all your HD content. For your photo and video needs, the Moto X Pure features dual cameras: a rear-facing 21MP lens with auto-focus, dual-LED flash, auto and video HDR, 4K video capture, and several other enhancements built in; and a front-facing 5MP lens. The Moto X Pure is also well-equipped for wireless communication. It features Bluetooth 4.1 + LE (Smart Ready) technology for pairing with other Bluetooth-enabled devices, and 802.11a/b/g/n/ac Wi-Fi for high-speed Internet connectivity. GPS with GLONASS is also on-board for using compatible location services and applications. The Moto X Pure Edition's 3000mAh battery is designed to provide "All Day" mixed usage on a full charge, and it can provide up to 10 hours of power from 15 minutes of charging. Note: The XT1575 is the North American Variant of the Moto X Pure Edition. It will run on any GSM network that uses cell frequencies supported by the device, including AT&T and T-Mobile. It will also work with certain CDMA carriers, such as Verizon and Sprint. Current Verizon SIM cards can be transferred to the new device, though the carrier may limit the purchase of new SIM cards for unlocked phones. 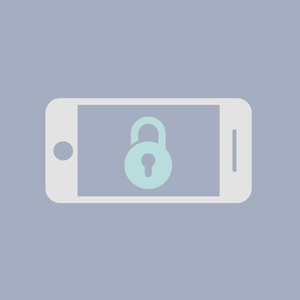 Since this device is unlocked, functionality for certain carrier-specific features cannot be guaranteed. Please confirm with your carrier that it supports the Moto X Pure Edition before purchasing. 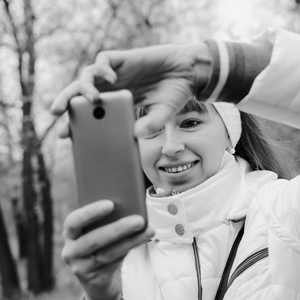 Both of the Moto X Pure Edition's front and rear cameras feature a high resolution and f/2.0 aperture, allowing you to capture and record clear images wherever you are. The XT1575 is a US variant of the Moto X Pure Edition. The XT1575's LTE radio is tuned to frequencies that are most often used in the United States and North America. It can also be used in other parts of the world, however LTE access may be limited or unsupported, depending on the network. To ensure this phone will work with your carrier please check to make sure the frequencies your carrier uses are supported by this phone. The full list of compatible carrier frequencies can be found here, the frequencies this phone supports can be found in the product specs. The Moto X Pure Edition is designed to last a full day and then some. With a 3000mAh battery, you can go about your day and not worry about battery life. Go to school or work, visit with friends, and then head out for the evening – you'll still have enough juice to get home. Plus, the Moto X Pure Edition is equipped with TurboPower technology, which is designed to give you 10 hours of usage after just 15 minutes of charging. The Moto X Pure Edition has a water-repellent coating that's designed to protect it from the inside out by creating a barrier that helps protect against moderate exposure to water, such as accidental spills, splashes, or light rain. The Android operating system integrates heavily with Google's services. Using the card-based Google Now, Android quickly surfaces information for you whenever you need it, powered by the same Knowledge Engine that runs Google's web search. It's a personalized and customizable OS, allowing you to add your favorite apps or widgets to your homescreen. You can even download new themes using the Google Play Store, which offers access to more than one million apps, games, books, music, movies, and more. Android 5.1 is the second version of the OS known as Lollipop. It takes the myriad improvements from Android 5.0-the "Material Design" visual overhaul, revamped multitasking, and multi-user support-and goes even further, adding official support for HD Voice and dual SIM cards, new security features such as Device Protection, and more. 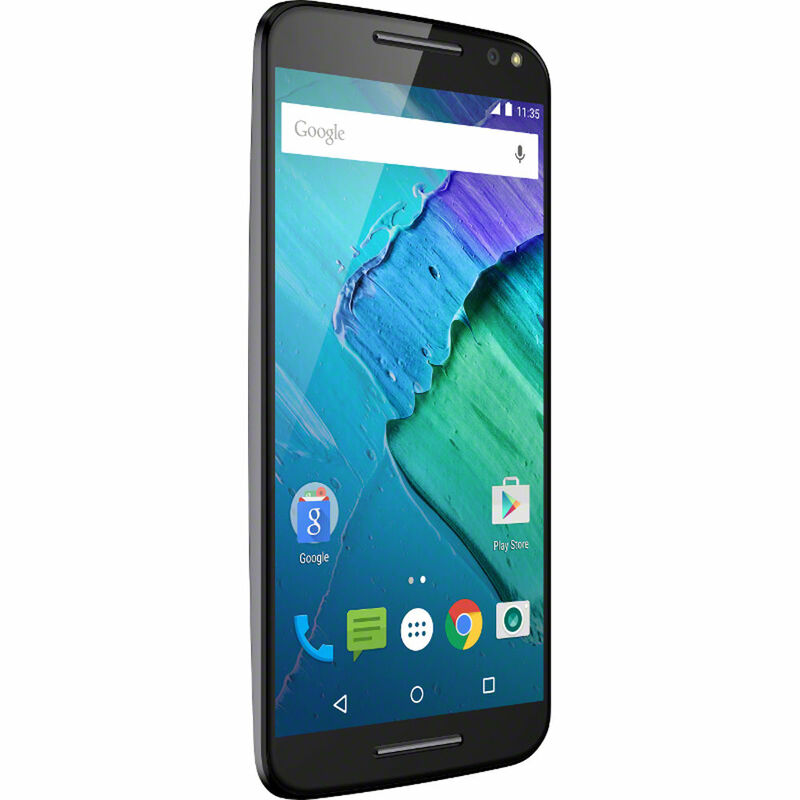 Box Dimensions (LxWxH) 7.4 x 7.3 x 2.3"
Moto X Pure Edition 16GB Smartphone (Unlocked, Black) is rated 4.6 out of 5 by 74. Rated 4 out of 5 by herbert l. from so far good I can read the screen without my reading glasses screen is very nice and clear and can read it without my glasses unlike my iphone 4s using the xtra storage is a bit tricky - must allow phone to consider it extended storage and then must enable usb to accept data. Really took a while to figure out how to load my music library from my home cloud to the phone. Evidently it now comes set so that it will not accept data through the usb unless it is disabled in the setting section. I had originally loaded the music into the blank micro sd card but the phone would not recognize the xtra storage as part of the phone and only wanted to transfer information from the micro card to the phone. Rated 4 out of 5 by Birdsiview.org from Great upgrade and beautiful device I forgot I ordered the bamboo back and when I opened the box it took my breathe away. Really a gorgeous looking phone. I had an issue with a glitch/bug that created all sorts of weird artifacts in the display. It took me a day to realize I just needed to reboot the phone. Haven't seen the problem since. I ended up comparing this phone to an LG G4 in hand and I preferred the Moto X Pure and the lightweight android experience. I've never had a very capable smartphone until now. It's very responsive and I am loving the camera. I'm very satisfied with this device after about 2 weeks. Rated 5 out of 5 by PAM2 from GOOD CHOICE IF YOU ARE THINKING OF UPGRADING Good combination of features and functionality. This phone meets my needs which are typical but not extensive. The 16G will be all I need, but if you like to download a lot of Apps you might want to look for the 32G version. The documentation is very good and it only took a short time to set up and now after a couple weeks of use, I use nearly all of the functionality easily. The screen size is larger than my old DROID, and excellent. The camera is much better and pix and videos are very good. BT and WiFi connectivity excellent. I added a case and belt clip and now all set. Rated 5 out of 5 by GeekGirl from I love this phone! This was a huge upgrade for me and the price was great! even though its only 16gigs with marshmallow the external memory card acts like internal memory anyways. Its really fast and responsive, beautiful display. I was afraid the phone would be too big for my small hands, but it feels good. Nice weight to it, the bamboo backing is great and no slippage. I also love the dual speakers, the sound is wonderful. You cant go wrong with this phone. Only con is battery doesn't last long but with turbo charge its not a big deal. It will barely last me the full work day. Rated 5 out of 5 by Anonymous from Great phone at a great price I struggled with getting this phone for a few months. Not because of function, software, or reliability. Nope, I struggles because of it's size. I had an S4 at 5 and jumping up to a 5.7 was a stretch. Well, once it hit a great sale the week I was having phone troubles, I pulled the trigger. Glad I did. I love the software, love the screen, and love the battery life. Still getting used to the size, same as the Note 4. 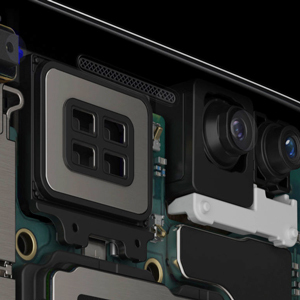 I like the sensors and hand gesture features. The phone is quick, and battery is pretty good. This is a deal (albeit a bigger phone). Rated 5 out of 5 by Austin Mynatt from Best phone I've used This phone will do whatever you want it to do. It's very underrated, every time I show people the twist for picture and chop for flashlight and saying Listen Up, Moto X to activate Moto Voice to ask it to do what ever they get blown away and then try to compare they're iPhones and Galaxies with it and can always use its 45 minute charging time and water resistance to prove that yes Motorola is back and here to win. This phone is way better than all of the phones I've used which were to Nexus 4, Nexus 5 and iPhone 5S it's the most you could ask for in a phone. Rated 4 out of 5 by Anonymous from Nice phone It's a nice phone but I have not used it for long to give a candid review but so far so good. My only problem is that it gets hot and also I prefer amoled screen to LCD screen but every other thing is excellent. I love the loudspeaker, it is the best I have ever had and I hear people on the other line loud and clear. The major reason I hate Samsung phones is their loudspeaker and that is what's the most important to me in a phone. Motorola x pure loudspeaker is phenomenal, I have never had a phone like it before and I have had all kinds of flagship phones from Samsung, LG, Microsoft, HTC, Blackberry to ZTE and so on. I like this phone but my prayer is just for it to last and not give up on me along the way. Rated 4 out of 5 by The Tahiti Lover from Great phone, definitely recommend Great phone. The phone operates smoothly and quickly. It's a great size- in my opinion it's about the perfect size. 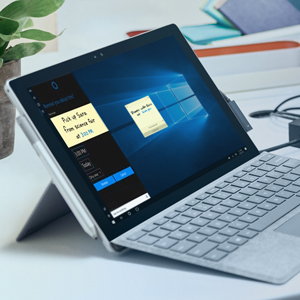 It has a screen that's big enough to be able to feel like one could be productive with it. It's a great size for reading books on. At the same time, it's not too big. I can operate most things using one hand, with occasionally using two hands to type more quickly. Only downside- even though the screen is great resolution, I feel that moving to an LCD screen instead of AMOLED results in more muted colors and contrast. It's not a big issue, but it makes the screen seem to not 'pop' and be as visually appealing as it could have been. Will this get Android nougat ?? This is a discontinued phone and we cannot guarantee an OS update. Best to check directly with your service provider or Motorola directly. Yes, this would work with Cricket wireless. Do you still sell the 16gb new? How do you sell the 16gb used one, does it come in the original package with the turbo charger? We no longer offer this product at B&amp;H.
What kind of warranty it comes with? It comes with the manuals, turbo power charger, and a clear bumper for the phone. Yes it works with T-Mobile just insert your sim card and the phone automatically connects to the T-Mobile network. Is this Moto currently in stock, brand new and does not fall into the 'return category' let alone 'refurbished'? Thank you. All items in our inventory would be new, unless clearly stated otherwise on the item's page. And for the most part, no used or refurbished items will come up in a search unless you are specifically looking in our Used Department. Will it work in Argentina? I am wondering if b&amp;h sells the turbo power for quick charging for this phone ? The phone actually comes with the turbo power charger. Not sure if they sell it separately.